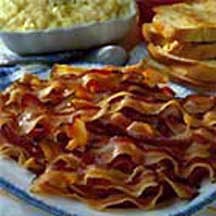 CooksRecipes has quality, kitchen-tested recipes for breakfast sides that you can count on for successful deliciousness. Want to surprise your brunch guests with something extraordinarily different? 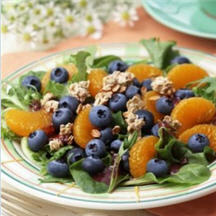 Serve them this cool, colorful blueberry and orange salad for breakfast! Serve up something special with those weekend brunch eggs and pancakes...crispy brown sugared bacon. 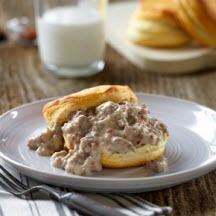 This homemade beef sausage gravy served over biscuits is sure to satisfy the heartiest of appetites anytime of the day...or night!